Deep learning and image processing are two areas of great interest to academics and industry professionals alike. The areas of application of these two disciplines range widely, encompassing fields such as medicine, robotics, and security and surveillance. 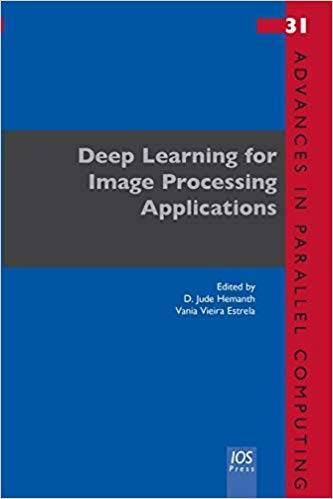 The aim of this book, Deep Learning for Image Processing Applications, is to offer concepts from these two areas in the same platform, and the book brings together the shared ideas of professionals from academia and research about problems and solutions relating to the multifaceted aspects of the two disciplines. The first chapter provides an introduction to deep learning, and serves as the basis for much of what follows in the subsequent chapters, which cover subjects including: the application of deep neural networks for image classification; hand gesture recognition in robotics; deep learning techniques for image retrieval; disease detection using deep learning techniques; and the comparative analysis of deep data and big data. The book will be of interest to all those whose work involves the use of deep learning and image processing techniques.